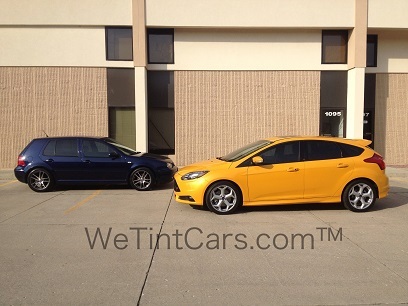 Reasons to tint vary from individual to individual. The old reason was because it made a vehicle "look cool". But there are better reasons to do so. On this page we outline the top 7 reasons why most people consider to tint their vehicles and explain the benefits of doing so. This page should provide you with what you need to make an informed decision. There are many reasons to tint your vehicle, including protection from harmful rays, safety and privacy. Window film can even help protect the investment in your car. Listed below are the top seven reasons that most people choose window film to protect themselves and their car. Window film is designed to reject and absorb the solar energy that heats up the inside of your car. With the right window film, your car can reject up to 61% of the solar heat. This reduces the need to use your air conditioning, thus lowering the load on an engine and improving miles per gallon. The window tint specs are clear, window film blocks up to 99% of the harmful UVA and UVB rays from the sun that can cause skin cancer. Research shows that sun exposure in the car is particularly harmful because most of us don’t apply sunscreen. 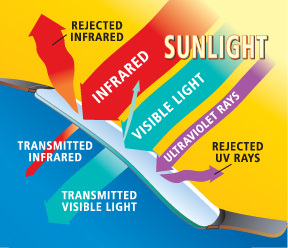 In Fact, all our window films are like applying a sunscreen with an overall amazing SPF rating of at least 285 or more. Window film reduces the glare from the sun, snow and headlights, which can increase visibility to make driving safer. 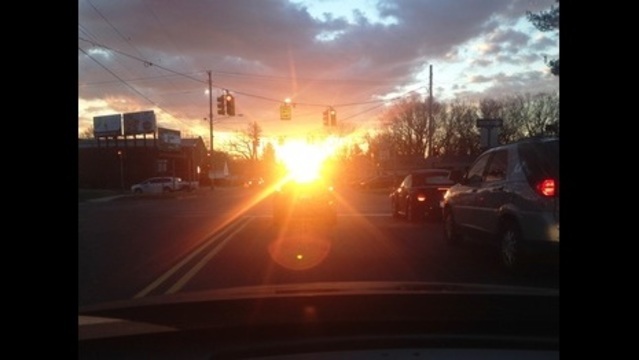 Without window film on your windows, the chances of an accident are greatly increased especially during winter months when the sun sets earlier and driving into the sun setting at a low angle can blind the driver. Of all the "Reasons To Tint", we believe this is one of the most important. Once installed, window film helps hold glass together when shattered preventing dangerous shards from harming vehicle occupants in the event of an accident. If you are involved in an accident and your children are buckled into a car seat, shattering glass can blind them. This makes tinting your windows one of the best reasons to tint! Tinting your vehicle can increase privacy and even help prevent theft by reducing the outside view of possessions inside the car. Window film is also far less expensive than privacy glass. Different films can be applied to back and side passenger windows to increase their privacy while using different films on the front windows to preserve the driver’s view. The combination of heat rejection and UV protection can prevent sun damage to your car’s interior, protecting upholstery and vinyl from cracking and fading, maintaining the interior of your car longer. Window film can give your car a customized sleek look. Since Solar Gard window film comes in a variety of shades and colors, you can customize your car with the appearance you desire while gaining all the other benefits. Will window tint protect me from skin cancer? Here's what the Skin Cancer Foundation says about Window Tint. Global window films have very similar window tint specs and are in a class apart. They are the result of a single-source, vertically integrated manufacturing process. Simply put, that means Global films are manufactured in a state-of-the-art, ISO-9001:2000 certified facility that makes just about everything that goes into their window films, from the base petrochemical intermediate (DMT) right down to the finished products. This eliminates dependency on other manufacturers enabling complete control over the entire manufacturing process—from polymers to packaged goods. That’s important because it ensures high quality and ultimately, total consumer satisfaction.